Coke Bottle glass. Really Cool "Retro" look. Higher power, great for round vintage tone. Distorts sweetly. Made by the Shugang Factory in China. 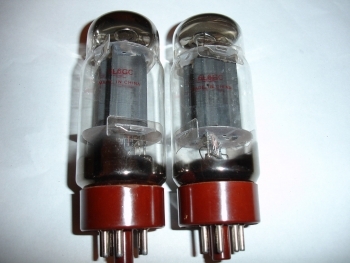 Great Guitar amp tube. Priced as matched pairs.